Home / Health / Health Stress / Why We Sleep? Have you ever wondered about why do we sleep? You might wonder what kind of question is this.Sleeping is something that we all do by default, everyday – isn’t it? No questions asked, as we take it for granted and so it is. Sleeping is our natural behavior, and in fact, we sleep for about one-third of our lives.Most of us acknowledge at some level that sleep makes us feel better. We feel more alert, more energetic, happier, and better able to function following a good night of sleep. However, the fact that sleep makes us feel better and that going without sleep makes us feel worse only begins to explain why sleep might be necessary. We sleep because it’s a habit, right? It is something that we’re conditioned to do since we’re born.Well, it’s more than a habit. Sleep is a necessity, just like drinking and eating. We cannot function properly without sleeping.Our body needs rest after a certain time, which is determined by the natural body clock and rhythm.Sleep is also the time when our brain organizes information, and carries out the required neuro-chemical processes.The brain also orders the release of maintenance, repairing, and growth concerning hormones. It instructs the nervous system to make an assessment of the body.Sleeping is like putting up the ‘under maintenance’ notice on our blogs while we try to change its settings and layout in the background.Sleep is a restorative, adaptive, and preservation process. The brain keeps working even after we sleep.Our brain uses this time to do what we can best associate with the housekeeping tasks of our computer.It deletes the cache memory, gets rid of unnecessary mental processes and tasks.The brain further defragments, sorts, and organizes our memory according to its nature, to make it easily accessible at a later given time.So, that is why we can recall things better after we’ve had a good night’s sleep. Even a short daytime power-nap helps our brain to reorganize itself.The brain and the body make use of this opportunity to repair the damaged cells and networks, assess the day’s activities and the processes involved to make them useful.Our brain needs a peaceful time without any interruptions to carry out these tasks, which happens only when we sleep, and that is why we sleep.So, next when we feel refreshed after waking up from our sleep, it means our brain and body did their housekeeping tasks quite well but if we don’t feel fresh and still have flurry of thoughts pinging and bouncing in our head, it means our brain couldn’t get the opportunity to work at its best because our mind was still active. Though science still does not have a definite answer to why do we sleep, but modern research has given us an insight into what sleep is about.There are two basic types of sleep – rapid eye movement (REM) and non-REM (NREM).Non-REM is the state of deep sleep in which our mind is at rest. We dream during the REM sleep when our mind is active. The REM and non-REM sleep occur in regular cycles when we sleep.The longer the non-REM sleep, the better sleep we’ve and better we feel when we wake up. Another explanation for why we sleep is based on the long-held belief that sleep in some way serves to "restore" what is lost in the body while we are awake. 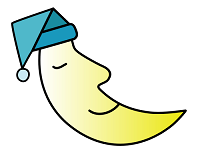 Sleep provides an opportunity for the body to repair and rejuvenate itself. In recent years, these ideas have gained support from empirical evidence collected in human and animal studies. The most striking of these is that animals deprived entirely of sleep lose all immune function and die in just a matter of weeks. This is further supported by findings that many of the major restorative functions in the body like muscle growth, tissue repair, protein synthesis, and growth hormone release occur mostly, or in some cases only, during sleep. Other rejuvenating aspects of sleep are specific to the brain and cognitive function. For example, while we are awake, neurons in the brain produce adenosine, a by-product of the cells' activities. The build-up of adenosine in the brain is thought to be one factor that leads to our perception of being tired. (Incidentally, this feeling is counteracted by the use of caffeine, which blocks the actions of adenosine in the brain and keeps us alert.) Scientists think that this build-up of adenosine during wakefulness may promote the "drive to sleep." As long as we are awake, adenosine accumulates and remains high. During sleep, the body has a chance to clear adenosine from the system, and, as a result, we feel more alert when we wake. One of the most recent and compelling explanations for why we sleep is based on findings that sleep is correlated to changes in the structure and organization of the brain. This phenomenon, known as brain plasticity, is not entirely understood, but its connection to sleep has several critical implications. It is becoming clear, for example, that sleep plays a critical role in brain development in infants and young children. Infants spend about 13 to 14 hours per day sleeping, and about half of that time is spent in REM sleep, the stage in which most dreams occur. A link between sleep and brain plasticity is becoming clear in adults as well. This is seen in the effect that sleep and sleep deprivation have on people's ability to learn and perform a variety of tasks. Humans need sleep; everybody knows that without it, we get cranky, a bit loopy, and then we die. Unfortunately, Although these theories remain unproven though we understood the negative effects associated with lack of sleep, no one really knew why those things happened.So take rest and don't ignore sleep due to heavy work. Sleep is also a big factor in maintaining beautiful skin..